Tamang Heritage Trail Trekking will be the delightful experience of engaging in the new homestay trek in Nepal. This newly opened trek in Nepal was approved by the Government of Nepal in 2004. 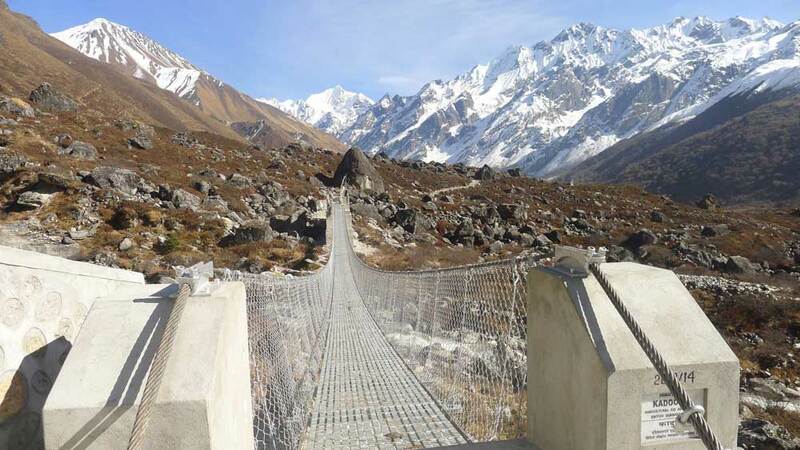 Tamang Heritage Trail trekking route passes through culturally rich villages of Tamang inhabitant in the Langtang region. These locals had immigrated from Kerung in Tibet and stayed in Nepal as Tamangs. The trail takes us through the villages that are peacefully secured by Langtang and Ganesh Mountains. This trekking exists in Langtang which is the nearest trekking region of Kathmandu city. The Langtang region is unique culture trail too. The thick forest provides sanctuary for diverse species of floras and faunas including leopard, musk deer, and red panda. We will visit many Buddhist monasteries, cross the forest of blooming rhododendrons and other alpine flowers, get close-up views of Kerung, Chumse Danda, Sanjen, Dorje Lakpa, Lirung, Sringi, Manaslu, Jugal, Ganesh and other mountains and peaks in Nepal. We offer 15 days Tamang Heritage Trail trekking with a scenic drive from the Capital city of Kathmandu through Trishuli to Syabrubeshe. Tamang Heritage trail trekking initiate from Syabrubesi. The route stretches through Goljung and Gatlang villages to arrive at a natural hot spring of Tatopani. Crossing the highest pass of our trek at Nagthali, we will descend to Thuman and walk past Timure to Briddim from where will return to Syabrubesi and drive back to Hotel in Kathmandu. We target to provide a higher quality of trekking and travel services in Nepal. The quality of accommodation, food, transportation and all the other amenities that we provide on every tour and trekking. This beautiful trekking will be run by skillful as well as well- trained and English speaking guide. It is situated around 2380 meter height will you reach during the trekking and the trekking has been categorized as easy to moderate for all visitors and cultural lover. 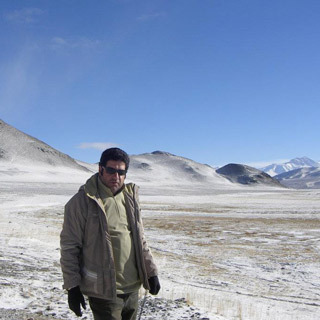 On the trekking, the trekkers will not have to face the problem of high altitude sickness. It is a fully customized package, where all our packages come; with fixed departure. The Tamang Heritage Trail Trekking package’s cost is reliable and affordable for all trekkers. We serve best on the trekking, where you can read review what our clients say about us. March to May and September to December are the best season for Tamang Heritage Trail Trekking. Since the Tamang Heritage Trail itinerary is short, it is the best to trek for beginners. The Tamang Heritage Trail Trekking will be best memories in the lifetime. So, don’t think much and make your next holiday in Nepal Himalaya. Available Local fresh fruits while on a trek. Langtang National Park permits and TIMS permit for trekking. Day 01Arrival in Kathmandu (1300m)After arrival at Tribhuvan International Airport (TIA) in Kathmandu, you will meet our representative who will receive you outside the airport with Nepal Glacier Treks & Expedition’s signboard and transfer to your respective hotel by private vehicle. You will enjoy the evening yourself and then have a pleasant stay at a hotel in Kathmandu. Day 02Pre- trip meeting and Kathmandu valley sightseeingOn this day, after breakfast in the morning, at around 8 am, we call a pre-trip meeting at your hotel in Kathmandu and introduce your trek leader/guide. Please get this opportunity to ask questions about your trek, tour and important things. In the meeting, please make sure you bring a passport, three copies of passport-size photos, and a readable copy of your travel insurance policy. During this meeting and please clear the due balance. 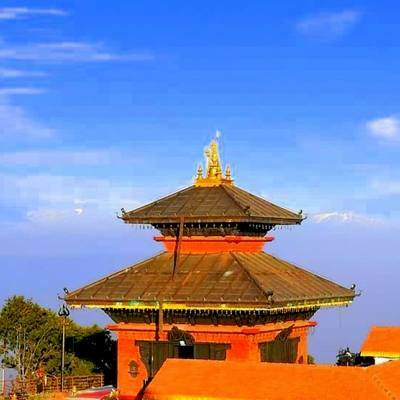 After meeting we will begin our Kathmandu valley sightseeing including the cultural and historical site of Kathmandu Durbar Square, Patan Durbar Square and largest legendary Buddhist stupa of Swyambhunath and Bouddhanath, and the very famous Hindu temple of Pashupatinath which are listed in world heritage sites by UNESCO. If we have plenty time, will visit Bhaktapur Durbar Square- it is the city of Devote and back to hotel and trek preparation and then have a pleasant stay at overnight in Kathmandu. Day 03Drive to Syabrubesi (1550m) 7- 8 hourToday after breakfast in the morning, we heard to north- west from Kathmandu city by a drive with views of terraced paddy field, forested hill, small and beautiful villages, high mountain lifestyle and River. Syabrubeshi, which is a starting point of our trek. On a clear day, we can see to enjoy awesome views of Annapurna, Manaslu, Ganesh Himal and other small mountains. At the Trishuli Bazar, you will take Lunch and continue further to Dhunche. From here, you will get down to Syabrubeshi. There are you get to see Sherpa people and their lifestyle and beautiful villages. Overnight stay at the guesthouse. Day 04Trek to Gatlang ((2250m) 5- 6 hour On this day, our hike starts from here. You will walk up to the top of the forested hill and enjoy the stunning views of Langtang Lirung, Shishapangma, Ganesh Himal and other mountain range. You will get down until reach Goljung valley, the trails go with Mani walls and chortens and then reach Gatlang village. This village is situated at the 2240 meter high, where you can visit Parvatikunda Lake located near to Gatlang village. Today, Homestay feel like as a Nepali typical home with warm fire and Rakshi (home brewed wine) in Gatlang village. Day 05Trek to Tatopani (2610m) 5- 6 hourToday, you will begin trek with a down path to Thangbuche and unique and wonderful views of Langtang ranges and Ganesh Himal along the way. In this trek, you get a chance to explore Chilime Hydropower dam and climb up until reaching Tatopani. Tatopani means, hot water in Nepali language and also known the natural hot spring, but there are no longer hot springs after the earthquake that hit in Nepal last year. Overnight stay at the guesthouse. Day 06Trek to Thuman (2340m) via Brimdang (2850m) and Nagthali (3165m) 5- 6 hourToday, after breakfast in the morning you start Trek to Thuman via Brimdang and Nagthali. 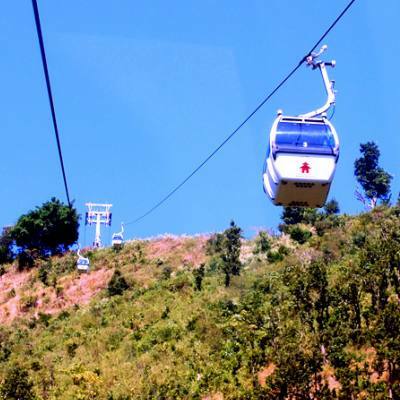 You will pass through the dense and lush alpine forest, will reach the small Tamang settlement village of Brimdang. And then from here, hours hike uphill until Nagthali hill. Where, you can enjoy the attractive views of Langtang, Kerung, Sanjen and Ganesh Himal. From here, you can trek downhill to the next Tamang settlement village of Thuman. Where you will stay overnight at guesthouse. Day 07Trek to Bridhim (2230m) 6 hourAfter breakfast in the morning, you trek to Bridhim village from Thuman village via Lingling village. You will walk through the forest of blooming rhododendrons and the trails located above Bhote Koshi River. Bridhim village is a Tibetan Buddhist village, it is located in the lap of the Langtang Himal. There are, you can see typical stone’s houses, is settled by Tibetan people and origin of Tibetan and also can get a chance to visit the Dukchu Gompa monastery. In the Bridhim village, you can see the Tibetan village on the side of Tibet. Homestay in Bridhim village is quite a popular stop among travelers. Overnight homestay in Bridhim village. Day 08Trek to Lama hotel (2500m) 5- 6 hourToday, you trek to Lama Hotel from Bridhim village in the morning. The trail goes down to Gopche Khola where you can see a small stream. Passing rhododendron forest and you ascend to Lama Hotel via the beautiful village of Sherpa Gaun and Rimche. The Lama Hotel is located on the bank of the Langtang River and surrounded by an amazing mountain vista and lush forest. The place is popular among the travelers in Langtang region. Overnight stay at the guesthouse. Day 09Trek to Langtang village (3430m) via Ghodatabela (3030m) 6- 7 hourOn the ninth day of the itinerary, we start trek to Langtang village from Lama Hotel via Ghodatabela. Our journey continues alongside lush and dense forests. You will leave the tree line behind, after climbing up some of the valleys. On the trail, you can also enjoy the awesome views of Langtang Lirung. Passing water mills, Mani stone walls, chortens and prayer wheels decorated by sacred mounds of rocks with inscriptions carved on them. Overnight stay at the guesthouse. Day 10Trek to Kyanjin Gompa (3830m) 3- 4 hour Today, after breakfast in the morning, we will start our trekking to Kyangjin Gompa, which is the principal monastery of the region. On the way, you can see water mills, chorten, prayer wheels with inscriptions carved sacred mounds of rocks. There are also pass the largest mani wall, which is made from stone with a prayer written on them. After the short hike, you will reach the Kyangjin Gompa and take a rest and then afternoon you can visit surrounding with the Buddhist shrine and close- up amazing views of the mountains. Overnight stay at a lodge in Kyangjin Gompa. Day 11Trek to Lama Hotel (2500m) 5- 6 hour Today, we will begin our return trip on this way. On this day, all the way downhill through the forest and beautiful mountain River. You can also see excellent views of the spectacular mountain which are you have missed on the way up. We suggest you, take more time and walk slow and the downhill trek will you reach the Lama Hotel about 5- 6 hours. Also, need to cross Langtang Khola and Langtang village. Where you can see the ethnic settlement village of Tamang people and their religions and culture are similar to the Tibetan people. Overnight stay at a guesthouse in Lama Hotel. Day 12Trek to Syabrubesi (1550m) 4- 5 hour Today is your last day of hiking. After breakfast in the morning, you trek down to Syabrubeshi from Lama Hotel. It is an easy walk for you and will pass lush forest. Around four to five-hour walk will you reach Syabrubeshi, you will enjoy with celebrating the success of your trekking. Overnight stay at a guesthouse in Syabrubeshi. Day 13Return back to Kathmandu Today after breakfast in the morning, you drive back to Kathmandu from Syabrubeshi via Trishuli River. It takes seven-hour smooth scenery drive and will cover 117 km of distance to arrive in Kathmandu. After arriving in Kathmandu, you take a rest at hotel or else you can stroll on the streets of Thamel and Basantapur area and buy souvenirs and gifts to your loved ones back home. You can even have the pleasure of rickshaw ride in the Capital. In the evening, enjoy a farewell dinner with local food and cultural show hosted by Nepal Glacier Treks and Expedition for celebrating the successful trip, and overnight at hotel. Day 14Final departure This is the last day of your package. You will be backed with your last moment preparation and dropped at Tribhuvan International Airport (TIA), Kathmandu from where you will depart the flight to your next destination. Hope to see soon and Have a Nice Journey.